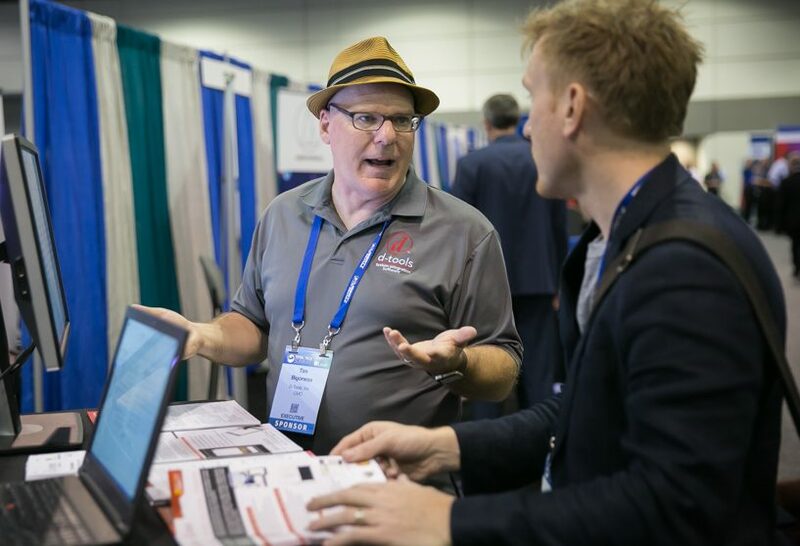 Representatives from the software platform company use general session presentations and one-on-one meetings to connect with industry decision-makers and establish next steps. 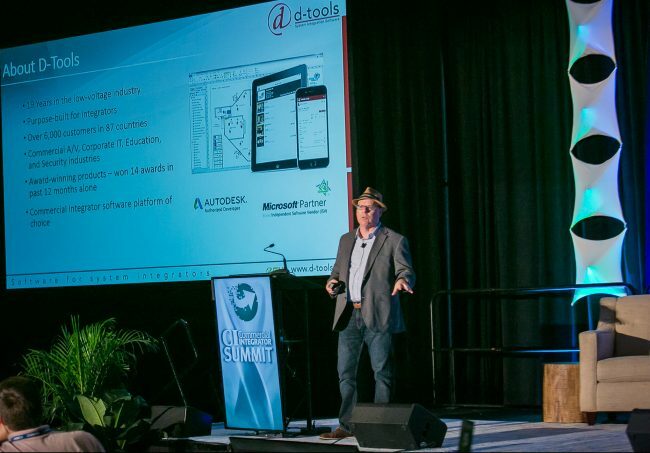 For the last several years, D-Tools has sponsored the Total Tech Summit, with a focus on commercial integrators. What keeps the company coming back year after year is the return on investment. This year, chief marketing officer Tim Bigoness and his team used a general session sponsorship and a package of one-on-one meetings to connect with integrator guests. D-Tools sponsored the CI Summit Best Practices Soup Roundtable session on the opening afternoon of the event. He used the presentation time to introduce D-Tools to the attendees who may not be familiar with the software. And for those who were, it gave him an opportunity to further explain the benefits of the product. 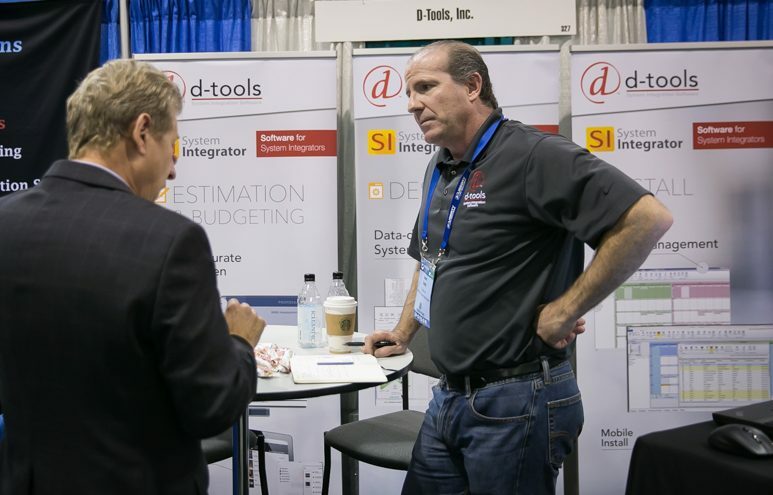 D-Tools chief marketing officer Tim Bigoness says the guaranteed one-on-one meetings help provide a positive ROI from the Total Tech Summit. D-Tools’ System Integrator solution is purpose-built for AV and low-voltage industries with the goal of streamlining the business process. “We try to solve some pain points integration companies typically have,” Bigoness explains. “Really, that comes from a number of areas, but primarily it’s about having disconnected processes. By making this introductory presentation to the 106 CI Summit hosted guests at the start of the event, it set the stage for their interactions in the days to come. Bigoness says it provided an effective way to establish D-Tools’ value proposition in a succinct way to the entire audience group. And, many of the integrators with whom he had scheduled one-on-one meetings mentioned those remarks when they did meet. He also received unscheduled booth visits from those who wanted to learn more because of the address. D-Tools vendor programs manager Sean Carlin holds a meeting with a guest at his booth. Bigoness says during each of those ensuing meetings he worked to learn about the integrator’s business and what he can provide to offer solutions to some of that company’s problems. He adds that his team makes sure to schedule distinctive next steps to follow up. If there is general interest, they will keep in touch with the customer. But, if there is more immediate interest, they will set up meetings for further discovery. He says every one of those meetings at the event has led to a tangible next step.